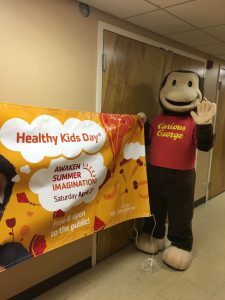 Healthy Kids Day 2019! Don’t Miss It! Saturday, April 27 from 10 a.m. to 3 p.m. @ Yorktown Center! 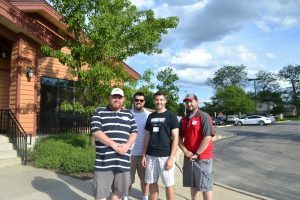 Camp Registration Now Available with Greater Per Day Flexibility! Need full weeks of summer camp? We’ve got you covered! Are your summer needs just a day or two a week? We’ve got that covered, too! Check out our new daily camp registration! Register by the week or the day. To secure a spot in summer camp, a $10 nonrefundable deposit is charged per week of camp. The $10 fee is applied toward your camp registration costs. Tri-Town Is Spreading Sunshine to Local Seniors! We’d Love for You to Join Us! As part of our Sunshine program, Tri-Town YMCA volunteers check in on local seniors and spend a few minutes on the phone with them, making sure all is a-ok! Hearing a friendly voice means so much! 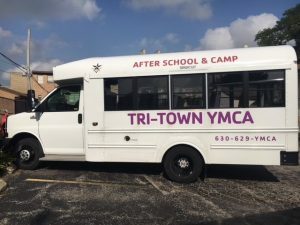 If you would like to volunteer once a week or more using your landline or cell phone, OR if you have someone living in Lombard, Villa Park or Oakbrook Terrace you would like to add to our call list, please contact the office at 630 629 9622 or email volunteer@tritownymca.org. Thank you so much! We Are Now Registering for January-June 2019! We’ve been busy transporting District 44 kiddos in our two school buses to and from our Calvary location! And we continue to provide outstanding care on site in District 45! We are looking forward to an amazing second semester! District 44 Y’s Kids will be conveniently bused to and from our new location: Calvary Episcopal, 105 W. Maple Street, right in downtown Lombard across from the library and Lilacia Park! Great before- and after-school spaces! In addition, our staff is vigorously background checked, certified in first aid and CPR, and trained in emergency procedures/drills. We partner with our parents in every way we can to help them bring the most to their families! Now Offering Fantastic Expansion Programs for Middle Schoolers! Check out our Team Inspire, which takes middle schoolers on a path to success! For over 160 years the Y, a leading community-based organization, has adapted and changed as society changed, uniting “us” in over 10,000 communities across the nation. We now serve more than 22 million people annually.And, for the last 51 years, Tri-Town YMCA has strengthened the communities of Lombard, Villa Park and Oakbrook Terrace. We provide safe, enriching before- and after-school programs in nine area schools. . .we teach crazy good senior water fitness sessions. . . and we offer great resources that bring us together. Tri-Town is here…For a Better Us!